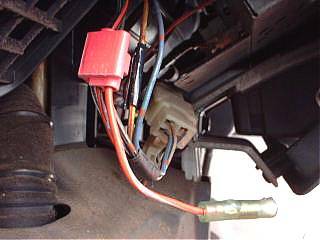 Does does it forget to be erased the small lamp and the headlight of the car, the battery go up, and is there what to the engine has not started once and twice everyone?I am using it for a long time since then thinking about the circuit that prevents this in around 1980. It is possible to do with an easy circuit and try by all means, please. Even if it fails and the car is broken, I am not concerned at all. It is a circuit that the part where the schematic diagram is yellow adds. The series circuit of the diode and 12V buzzer is only added between the place and the door switch 12V's being impressed when the small lamp is lit. The buzzer rings when the door is opened while the small lamp is lighting. The purpose of the silicon diode is to prevent the backward voltage from hanging to the buzzer. The current is prevented from in a word AUTO room lamp SW, closed the door, and flowing to the small lamp circuit through the buzzer when the small lamp is turned off. 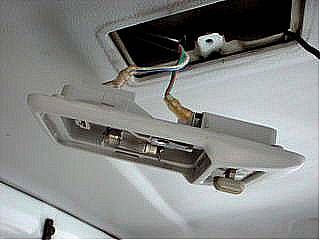 I installed the terminal from among the wiring for the car radio as shown in the photograph as it searched for the line of the small lamp. The diode and the joining terminal are installed in the buzzer as shown in the photograph. The purpose is to remove at once when trading a used car in for a new one. Though the person who can remove soon may connect directly. The insulating tape is rolled in the soldering part after this. If do the prick of the needle to the electric wire and small lamp SW is operated while measuring the voltage between bodies with the tester, it is easily searchable. Please wrap the tape around the eye of a needle part if you are anxious. The line from door SW has come to the place of the room lamp as shown in the photograph. It installs it in the line on the switch side in two. 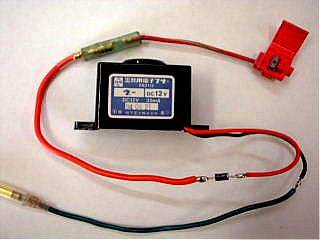 The tester is made DC voltmeter, the voltage between bodies is measured, and the line where 12V doesn't come. Wiring can not see it when doing well. Depending on your arm. A black upper right line is a line that I put.